Parvaneh Salahshouri, head of the women’s faction in the regime’s parliament, spoke about child marriages in Iran stating Six per cent of Iranian girls get married between 10 and 14. In a meeting in Tehran on child marriages, according to the state-run ILNA news agency report on January 6, 2019. “Do we want to realize population growth by marriages of girls under 13?… There are one million young men and women who do not have the wherewithal to get married. Instead of opposition to the bill on child marriages and focusing on the marriage of 40,000 kids, it might be better to provide these youths the resources they need,” she added. “How could a 10-year-old be deprived of the right to vote but be able to get married while she is not prepared at all to tend to the needs of her husband and is not in any way prepared to be married and bear a child? Given their health and healthy pregnancy, many of these women suffer from cancer after they reach 30.” Salahshouri continued. The special assistant to citizens’ rights in the presidential directorate on women and family affairs, Shahnaz Sajjadi, also addressed the same meeting. 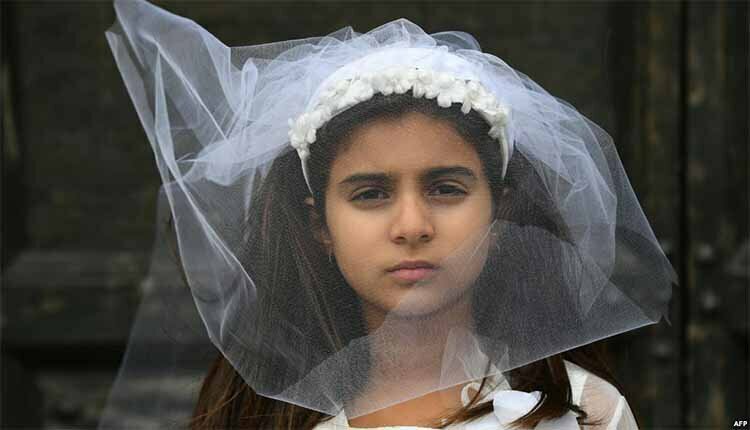 The Iranian regime, member of UN Women board, has just rejected a parliamentary motion to ban child marriage for under 13-yr-old girls. The spokesperson for the parliament’s Legal Commission recently attempted to justify the rejection of a bill to raise the legal age of marriage for children in Iran’s parliament. “For a girl who is alone and has no one, marriage is definitely a game changer,” Hassan Nourozi said in comments carried by state-run media. “In our opinion, there are some problems in the proposed bill because many of the criteria are not acceptable. According to the representatives in the Legal Commission, a 15-year-old girl is not considered a child … and is fit to marry,” the cleric said. Nourozi said that according to the sharia laws, Qom jurisprudence and Iranian and Lebanese experts, a girl goes into puberty at 9 years of age. He also compared Iranian girls living in the 21st century with his grandmother. “My own grandmother was married at 9 years of age and did not have any problems,” he said. “Our point is that if a girl who does not have a father and has problems can marry a 17-year-old young (man), and there is no problem with that,” he added defending the rejection of the child marriage bill. The so-called “child spouse” bill, introduced into parliament in 2016, proposes an absolute ban on the marriage of girls under age 13 and an absolute ban for the marriage of boys under 16. According to statistics from official sources, the marriages of at least 37,000 girls between the ages of 10 to 14 were registered in Iran in 2017. This does not include marriages that were not legally registered. Are these marriages and early divorces a sign that there is other problems within the society? Are these people marrying the girls able to actually support them? or are they bringing a free labor/toy into their home just to toss it out when they are tired of it?